The Edition, the newest part of the Hartsville Museum, is Hartsville's premier event space for meetings, parties, and more. Hartsville Museum, The Edition and the Sculpture Courtyard anchor downtown Hartsville’s cultural plaza. 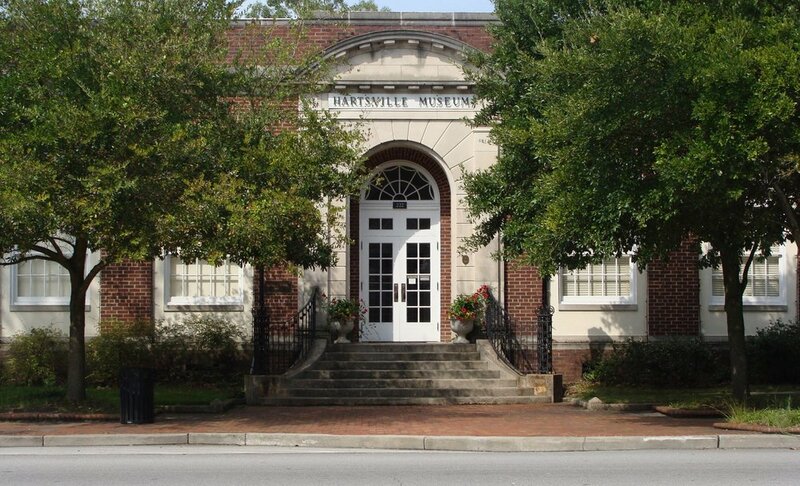 Founded in 1980, the Hartsville Museum is housed in a 1930’s Post Office building. We offer local history and art exhibits. Our neighboring Sculpture Courtyard, added in 2000, features multiple types of sculpture. The Edition, opened in 2018, is available across the street for meetings and events. The Edition is a modern upscale downtown facility with a vibrant history. It's a great venue for meetings, parties, and other events. The Edition was created through collaboration between public & private organizations and funding. Rent The Edition, Downtown HartsVille's premier Venue, for your next party, meeting, or special event. Two of the lovely ladies from our Hartsville Museum collection stepped out in their finest attire and made quite a show for themselves at Dancing With the Starts!